From material girls to men without hats, fans of the 1980s will flock to Beech Mountain this month for the sixth annual Totally '80s Retro Ski Weekend. The weekend, consisting of four days of tubular awesomeness, takes place Feb. 23-26 at Beech Mountain Resort and throughout the town of Beech Mountain. 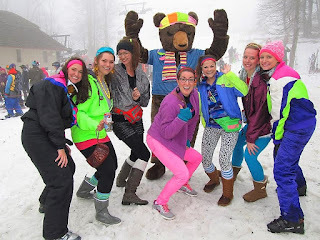 This year's festivities include live '80s music each night, retro ski fashions every day and a plenty of old school activities ranging from a Rubik's Cube competition to '80s karaoke to the ever-popular Totally Retro Apparel Contest. A talking Knight Rider KITT car and stainless steel DeLorean will be on display in the ski village, while arcade aficionados can take a shot at the high score in the Ms. Pac Man contest. There will also be opportunities to take photos with Brake Michaels, the Carolinas' premier Bret Michaels look-alike artist. Most attendees say the highlight of the weekend is checking out the colorful throwback ski clothes. "You dust off all your best '80s gear and wear it on the slopes. It is awesome and fun and the pictures are worth a thousand words," says Talia Freeman, marketing director for Beech Mountain Resort. "People get so into it. You wouldn't believe some of the stuff we see." This year promises an even larger array of 1980s ski threads as the first-ever '80s ski apparel parade unleashes a neon procession of dayglo Fridayafternoon from the top of the slopes. Further bending the space-time continuum is an audacious lineup of bands, starting with the power rock of Raleigh-based Rockzilla on Thursday night at Famous Fast Eddie's, followed by the new wave sounds of Cassette Rewind from Charlotte on Friday night at Mile High Tavern. Headlining the weekend Saturday night is The Breakfast Club, America's Favorite 1980s Tribute Band, in the Beech Tree lodge at the ski resort. During intermission Saturday night, a winner will be crowned in the $500 retro apparel contest. A late-night dance party closes the Saturday bash. "It's a unique ski weekend and draws a lot of non-skiers, too," says Beech Mountain tourism director Kate Gavenus. "When people come up the mountain and drive into town, we want them to feel like they've gone back in time, and many of them say they do feel that way." 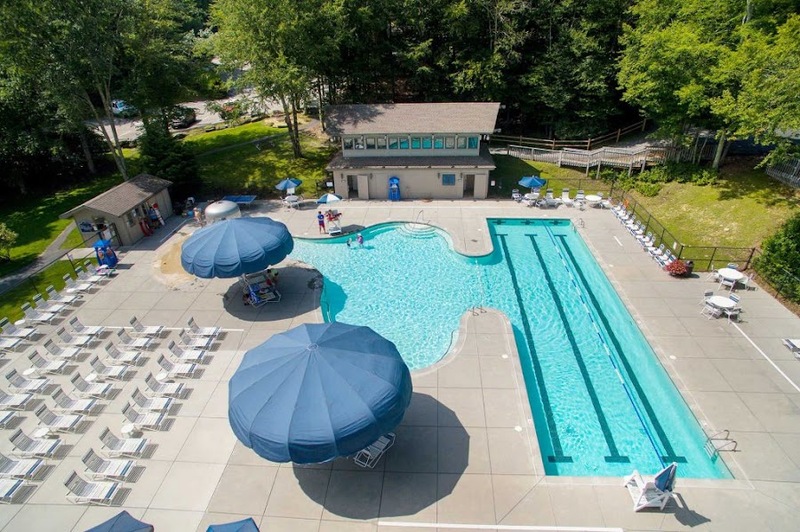 For more info or lodging specials, call (800) 468-5506 or visit: www.BeechMtn.com.